As the temperature heats up throughout the summer, you may be looking forward to those cooler fall days ahead. As the temperature cools off you may be looking forward to your energy bills cooling off too, but if your AC won’t stop running that may put a damper on those plans. If your AC runs all day and night without shutting off there may be several things to blame. This is definitely something to look into as it can cause problems for your unit as well as your bill. If the temperature has cooled down reducing the need for your heating and cooling system to run constantly, you will want to definitely call in a professional to get to the bottom of the problem. 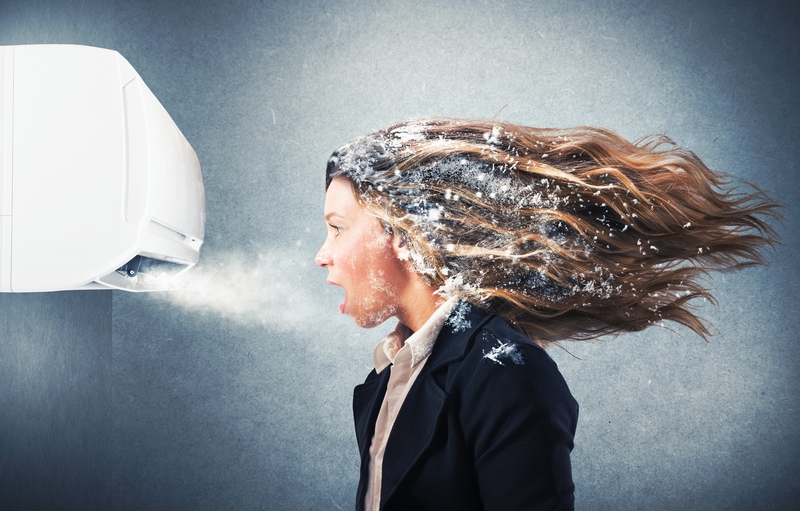 At ADA Heating and Air, we can help you troubleshoot some of the most common reasons that your AC won’t turn off. If you haven’t had your air conditioner serviced in a while, chances are that your evaporator could be covered with debris and dirt which obstructs the cooling process making your system work harder to cool your home. This can happen within months, especially if your unit is located in a place where it can collect a lot of dirt. Contact us for an annual service check. If your system is not blowing out cold air through the vents along with running constantly, your evaporator coil is probably frozen. It is recommended that your turn off your unit and call one of our professionals to diagnose the problem and prevent further damage to your heating and cooling system. It is recommended that you change air filters at least once every few months. If your air filter becomes clogged this will restrict the air flow and will not allow your air conditioner to work properly. Without proper air flow the unit cannot remove the humidity and thus cannot cool the air to the temperature that has been set on the thermostat. This situation would cause the system to run continuously. This problem can arise even if your filter is partially clogged. Changing your air filter may be a quick and inexpensive fix to your AC problem. If the refrigerant in your system is low the unit will continually run and work harder to compensate. This is often caused by a leak in the coil. If this is the case then you will definitely need to contact a professional to repair the leak and fill the refrigerant to the proper level. If your thermostat is not working properly this can cause your unit to run continuously. You will want to check your thermostat temperature against the actual temperature inside your home to make sure that it is working properly. If it is not then your thermostat may need to be replaced. If the blower motor does not produce the right amount of air or the fan is not running at the correct speed these issues can also cause the system to run constantly. You can solve this problem by adjusting the fan speed and keeping the fan blades clean. If you have changed the amount of space that your unit needs to cool by remodeling or renovating and have not changed the size of your air conditioner then your unit may run continuously as well. It is quite possible that your unit is too small to cool the desired space. In this case you will want to contact a professional and have them assess your system and the space that you are trying to cool. The majority of these issues can be taken care of with a simple annual service check on your system. If you have a constantly running AC unit contact us at ADA Heating and Air as we proudly service all of Central Kentucky, including Danville, Stanford, Nicholasville, Harrodsburg, Versailles, Lancaster, Winchester, Lexington and the surrounding areas.